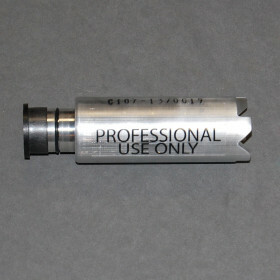 EMPI Cartridge (C100) » Protective Solutions, Inc.
Rod Cutter cartridge (C100) is designed to cut through round targets up to 5/8" diameter steel (any alloy, coating, or stainless). Cartridge weighs 0.57 lbs. Purchases are strictly limited to Law Enforcement agencies using a departmental purchase order. Please contact us prior to placing an order.